LOS ANGELES, CALIF. (October 24, 2017) – Due to popular demand, BOOM! 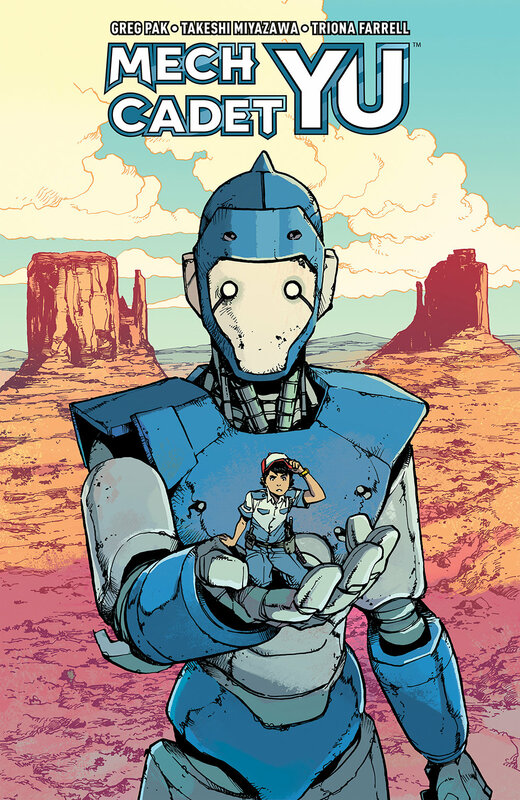 Studios is proud to announce MECH CADET YU VOL. 1 DISCOVER NOW EDITION, arriving exclusively in comics shops January 2018. Collecting the first four issues of the acclaimed all-new series from the superstar team of writer Greg Pak (Hulk, Weapon X) and artist Takeshi Miyazawa (Ms. Marvel, Runaways), MECH CADET YU VOL. 1 DISCOVER NOW EDITION is the perfect jumping-on point for the series, which begins a new arc in January’s Mech Cadet Yu #5.